Dear Earth Talk: Who are some of the greener movie stars out there today and what are they doing to fight for the planet? Home / Articles / Columnists / Earth Talk Q & A / Dear Earth Talk: Who are some of the greener movie stars out there today and what are they doing to fight for the planet? While a handful of Hollywood A-listers - Robert Redford, Meryl Streep and Ed Begley Jr., to name a few - have been actively campaigning for the environment for decades, a new wave of green celebrities is using star power to help convince millions of fans around the world to live greener lifestyles and speak up for environmental protections and climate mitigation. Leonardo DiCaprio continues to distinguish himself as one of the greenest stars out there. He started the Leonardo DiCaprio Foundation in 1998 with the mission of protecting the world’s last wild places, and has since then channeled millions of dollars in grants toward various direct action initiatives and awarenessraising campaigns all over the world. Another big star that’s gone green is Arnold Schwarzenegger. The Terminator earned his environmental cred during his six years as California’s governor when he shepherded legislation through a hostile state legislature establishing the most stringent emissions reduction mandates in the nation, and issued executive orders to up the energy efficiency requirements for existing and new state government buildings. He also helped pave the way for the introduction of automobiles powered by emissions-free fuel cells by building the beginnings of a hydrogen refueling network across California. Schwarzenegger has been outspoken about the need for state and local governments to take the lead in the battle against global warming - a message that never resonated more clearly than now with climate-denier Donald Trump in the White House. 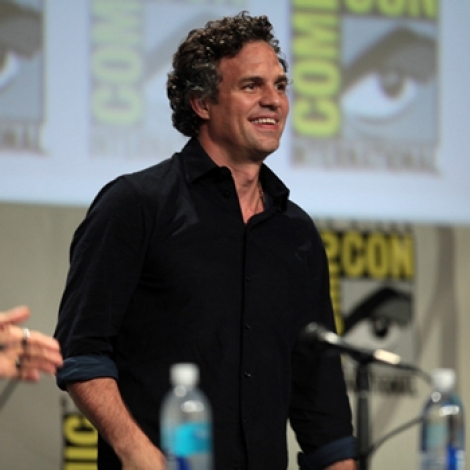 Mark Ruffalo may have played The Hulk in Marvel Comics’ Avengers movies for good reason: He’s pretty green - and resource extractors don’t like him when he’s angry. The A-list actor is outspoken against the environmental and health ills of fracking, a technique that recovers gas and oil from shale rock by drilling down into the Earth to direct a high-pressure water mixture at the rock to release the gas inside. He founded the nonprofit Water Defense in 2009, and later went on to join engineering professor Mark Jacobson, banker and solar executive Marco Krapels and filmmaker/activist Josh Fox to launch The Solutions Project, which aims to help move the U.S. to 100 percent renewable energy. He has also been active alongside the Standing Rock Sioux in fighting the Dakota Access Pipeline in North Dakota. CONTACTS: Leonardo DiCaprio Foundation, www.leonardodicaprio.org; Water Defense, www. waterdefense.org; Solutions Project, www.thesolutionsproject.org.